An assortment of 12 Glasses are included in each bag.The length of the frame is 6.5 Inch.There is a screw for Temple part,You can adjust it to fits Children and Adults. Batteries are included and installed.Replaceable.Each Pair of Glasses Has an On & Off Switch & A Paper / Plastic Insert Which Can be Removed & Reinserted for Hours of Fun & Enjoyment. 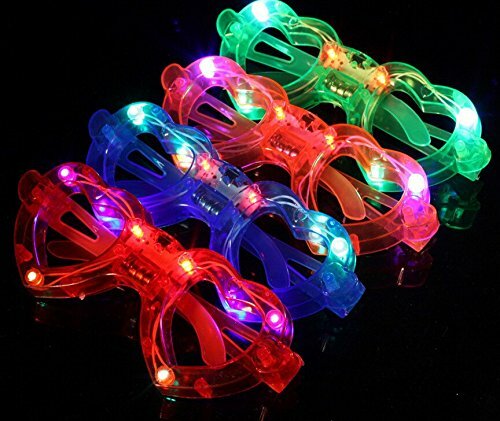 This Package of 12 Flashing Glasses Comes in 4 Colors: Green & Pink, Red & Blue Making it the Perfect Choice for Boys & Girls. Assortments of the colors may vary. If you have any questions about this product by Toner Depot, contact us by completing and submitting the form below. If you are looking for a specif part number, please include it with your message.